BMVS is a modern fully accredited veterinary hospital serving the Blue Mountains, and beyond, since 1999. We have two part-time and four full-time small animal veterinarians and a large staff of registered veterinary technicians (RVTs), providing preventative care and emergency treatment for all types of small animals – from cats, dogs and rabbits to ‘pocket pets’ such as hamsters and guinea pigs.. 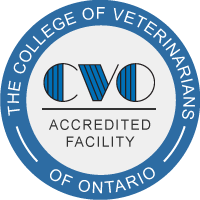 The Blue Mountain Veterinary Services (BMVS) team is dedicated to lifelong learning and we are continually expanding our therapeutic options with the latest veterinary technology and expertise. Our pet hospital has a fully equipped surgery, including CO2 laser. Your pet may also benefit from our in-house digital x-ray, ultrasound, stem cell and laser therapies. We also have an on-site laboratory, which means same-day test results. You may also select from a wide range of pet supplies, such as, toys, carriers, leashes and collars, pet seat belts, life preservers and specialty pet food, including the veterinary exclusive Royal Canin® MediCal® line.